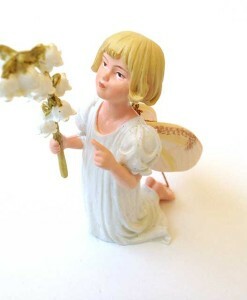 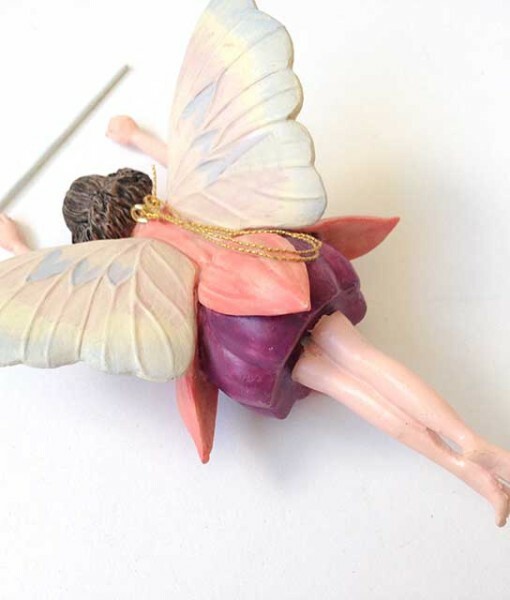 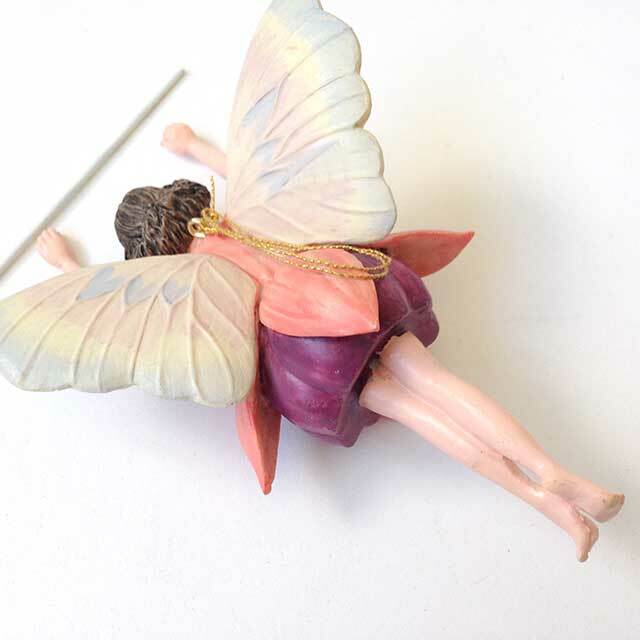 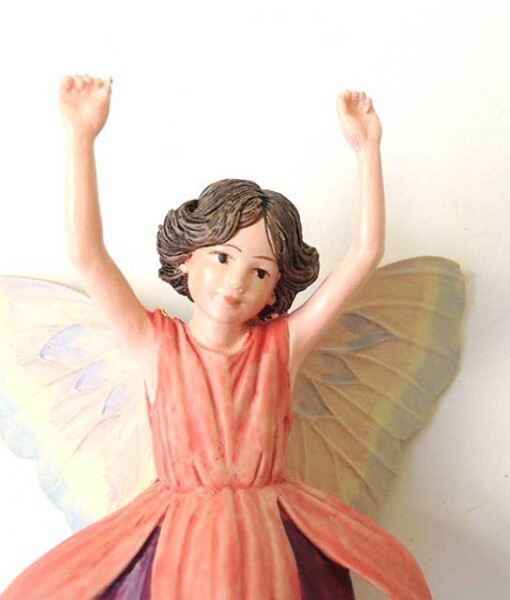 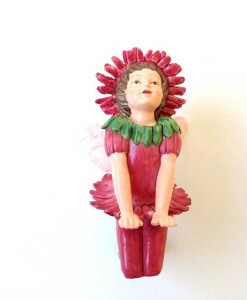 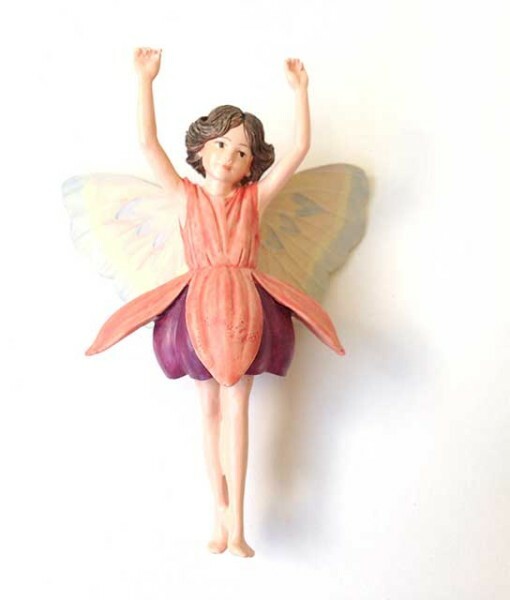 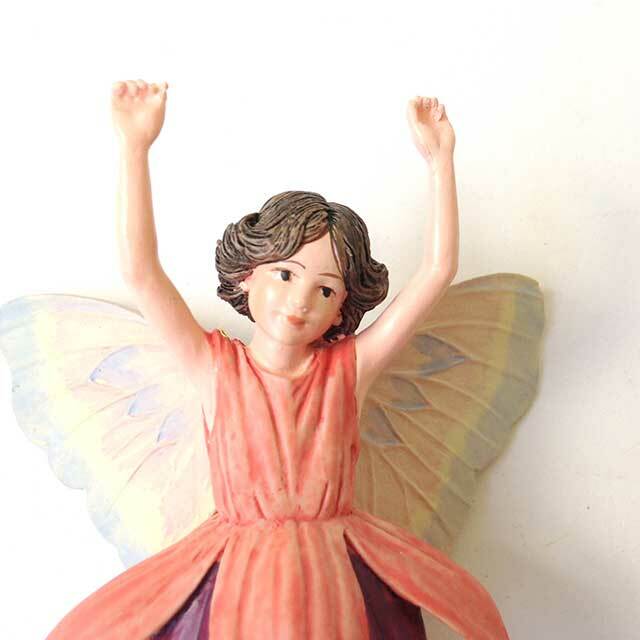 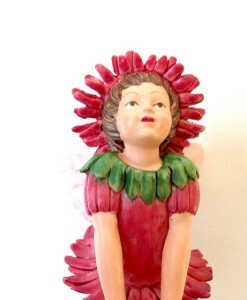 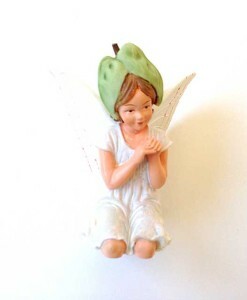 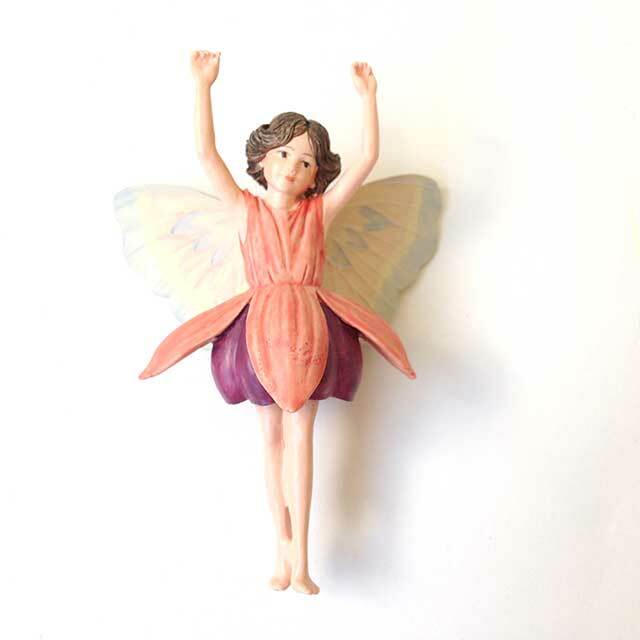 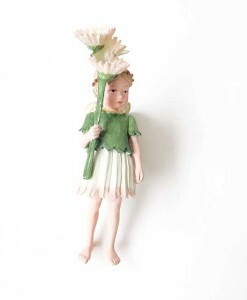 Fuchsia fairy figurine imitates the nature of these mysterious flowers with her hands held high, and petal dress. 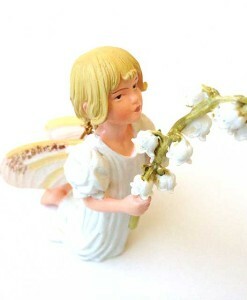 Would look very pretty planted with potted plants, miniature gardens and enchanted settings. 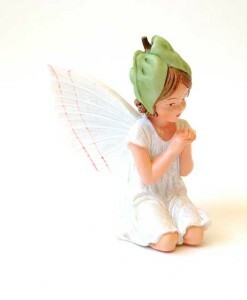 Dimensions: 4 1/8″ tall, 2 13/16″ wide, 1 1/2″ deep.